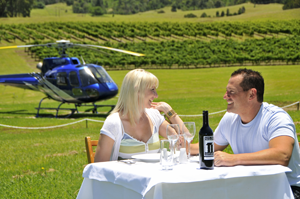 Shoalhaven Coast Vineyards and Wineries | Shoalhaven Coast Wine Industry AssociationShoalhaven Coast Vineyards and Wineries | Shoalhaven Coast Wine Industry Association Inc.
Shoalhaven Coast Wines have received over 1,000 Australian & International Awards. 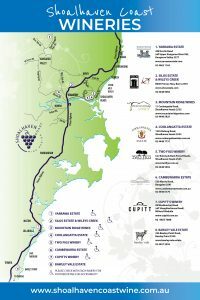 The Shoalhaven Coast wine growing region stretches from Kiama in the North to Durras in the South, and west to Kangaroo Valley, on the South Coast NSW. The region has flourished over the past 20 years. The Shoalhaven Coast wine trail meanders through luscious green valleys and overlooks some of the country’s most pristine beaches. It is one of the few regions in Australia where visitors have the unique experience of meeting vignerons and wine makers at cellar doors. The region produces a wide range of varieties including Chardonnay, Verdelho, Sauvignon Blanc, Semillon, Chambourcin, Cabernet Sauvignon and Shiraz. In recent years new exciting varieties have been planted and are now available for tasting at cellar doors. These new varieties include Arneis, Viognier, Tempranillo, Sangiovese and Tannat. The regions commitment to quality and producing premium wines has been recognised with over 1,000 Australian and International Wine Awards.